Applications to Tranzfuser 2019 are now open. For more information, including how to apply, visit the How to Apply page. 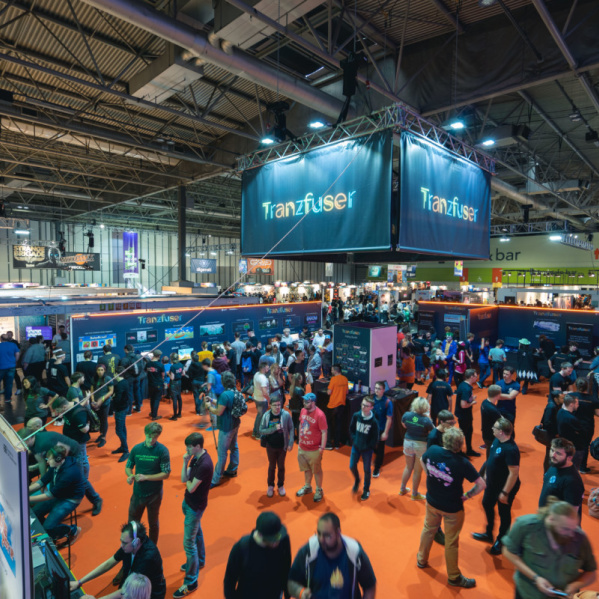 Tranzfuser™ is the popular talent development programme brought to you by UK Games Talent and Finance CIC, working with a host of regional contributors and funded by UK Government. Teams should have a healthy balance of roles, made up of no less than 4 and no more than 6 team members (this includes the team leader). Team Leaders will have access to current Tranzfuser™ Local Hubs or they can nominate their own Local Hub. We have the largest network of Local Hubs to date for this year’s competition. Find full details on all Hubs and how to apply to them here. 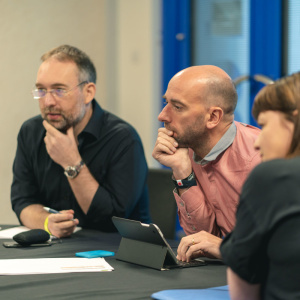 Successful applicant Team Leaders will initially be awarded £2,500 to allocate as they choose for the duration of the project to produce a demo. They will then pitch their game idea at our pitch event in September and, if selected, will secure a further £2,500 and a place at the Autumn showcase event, where they could be selected for up to £25,000 UK Games Funding. 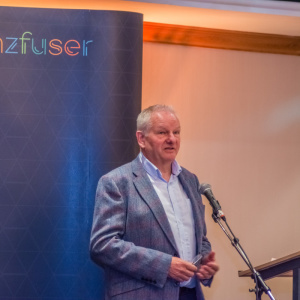 All Tranzfuser teams will have the opportunity to pitch their game idea at our September Pitch Event (details TBC). Teams will hone their pitching skills as they present their game and business idea to multiple publishers and industry experts. Selected teams from our pitch event will experience showcasing their prototype at a high-profile national games show, engaging with their target audience and networking with industry experts and judges. 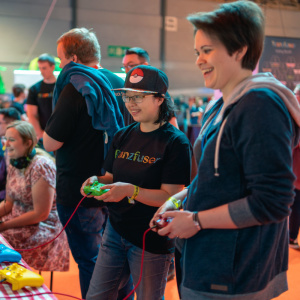 At our Autumn showcase event, all teams will be invited to pitch for follow-on funding of up to £25k from the UK Games Fund to commercialise their game and launch their company. 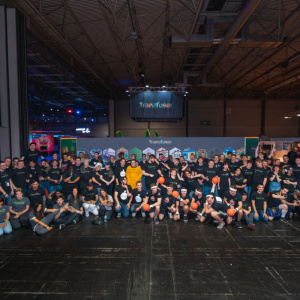 Selected teams will be supported as one of the UK Games Fund portfolio companies. Who is your Community and how do you plan to connect and engage with them during and beyond your Tranzfuser journey? What does your target market look like? You’ll need to be able to explain the reasons why you’re targeting this audience. Team Leaders should act as talented managers, not only of projects but budgets, people and everything else that comes with leading a games development project. Team Leaders should understand the scope of their project, producing clearly defined project plans and achievable milestones to guide the team through the prototype development period. Team Leaders should demonstrate an understanding of the costs associated in taking part in the competition. This can be demonstrable in any number of ways and not necessarily from having had professional experience within the games industry. Your application will have to show how and why the Team Leader is the natural leader for the team and how you are going to take them forward to great things. We’re looking for applicants who can quickly build a diverse team full of talented individuals with a wide range of skills. Teams that don’t just comprise a group from a single university will score higher, particularly if the leader can show how / why they’ve been recruited to the team. Your application will demonstrate your future aspirations beyond Tranzfuser. How you will take your idea for a game from a passion project to a platform for a sustainable video games development business?